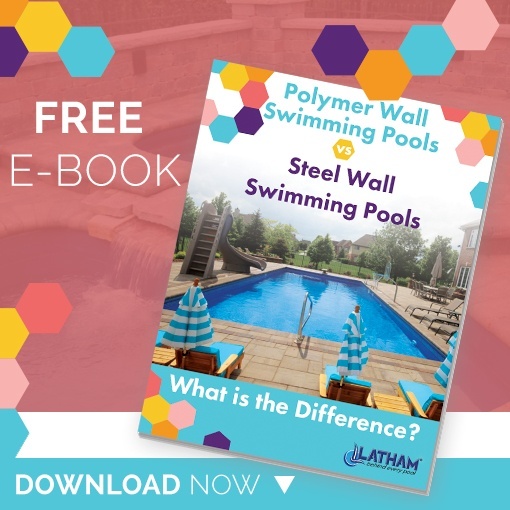 Polymer vs Steel Wall Swimming Pools - What is the Difference? In the pool building industry you hear terms like steel, polymer and vinyl liner swimming pools tossed around a lot. If you happen to be in the early stages of the pool buying process these terms can be very confusing. Let us begin by clarifying a couple quick things. Steel and Polymer are the two different types of wall structures that will make up the body of your inground pool. Once these walls have been set, a vinyl liner is then placed to give the pool its color and allow it to be filled with water. While it is important to consider all of your swimming pool wall options, it is safe to say that steel wall pools and polymer wall pools are both considered vinyl liner pools. In case you are still a bit confused, this eBook will help! Pros & Cons of Each - Cost, Construction, Design, etc. To Download this eBook for yourself, simply submit the form and it will be sent right to your inbox.